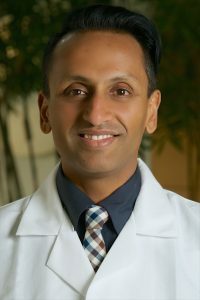 Deciphering the biology of cancerous tumors is the passion of Sriram Venneti, MD, PhD, the latest recipient of a Taubman Institute research grant. Childhood brain tumors – which show distinct genetic alterations compared to their adult counterparts – are a special focus of Dr. Venneti’s lab. He and his colleagues are working to understand how these genetic alterations make cancer cells use fuels such as glucose and amino acids and how this makes these tumors aggressive. The Emerging Scholars program at the Taubman Institute was developed to support early-career physician-scientists, who often leave the research arena due to lack of funding. Grants of $200,000 over five years enable these “best and brightest” U-M medical school faculty to operate their laboratories and establish credentials for further grants. So far, the institute has accelerated the careers of more than 20 Emerging Scholars in fields ranging from cancer to depression to vision preservation.